The Edgartown Police and Edgartown School have teamed up for a presentation on the role of the school resource officer that will be followed by a question and answer session with school and police officials. 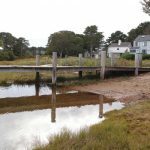 State scientists set levels to restore local ponds, but meeting those levels will be not be easy or inexpensive. 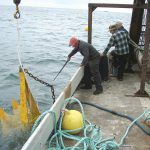 After the Vineyard's oyster population was depleted a few years back, the M.V. Shellfish Group stepped in. 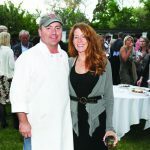 Fresh shellfish were served up with some spunky rock and roll on the side at Chilmark gathering. 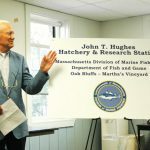 Division of Marine Fisheries Director Paul Diodati unveiled a new sign that read, "John T. Hughes Hatchery and Research Facility." 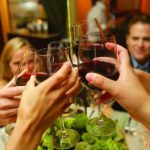 ACE MV paired with the Martha's Vineyard Museum to combine culinary instruction with a glimpse into 3 cultures that are represented on the Vineyard. 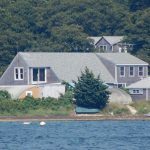 As the hearing progressed it soon became clear to selectmen that the proposed amendment floated on undercurrents swirling around one fisherman. 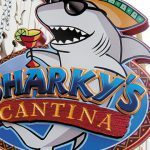 Sharky's Cantina is expanding its Oak Bluffs operations. 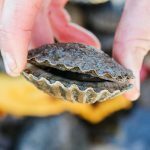 The longer I work with bivalve shellfish, the more impressed I am with what a remarkable life form they are and what a key role they play in the wellbeing of both the planet and humankind. 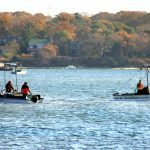 Tisbury selectmen will hold a public hearing Tuesday afternoon to consider proposed changes to the town's shellfish regulations that include measures to reduce catch limits and protect seed, or juvenile, bay scallops. Underneath the surface of this elegant, indulgent, fashionable event, there is a fierce undercurrent in the sea of pinstripe and pink. It was one of the finest spring nights we've had so far this year. Though the Vineyard, ironically, does not currently have any operating vineyards, it is home to a growing population of wine connoisseurs. Oak Bluffs commercial shellfishermen turned out in force at the April 27 selectmen's meeting and unloaded a litany of complaints. 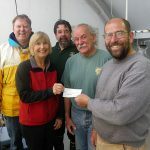 $10,018 has been contributed to the Martha's Vineyard Shellfish Group, which will help increase the number of actively growing clams in the pond by 400,000. 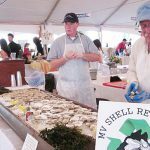 The Martha's Vineyard Shellfish Group, the Island's regional shellfish organization, will host a community workshop January 21 to explore the ideas and challenges of shell recycling on the Vineyard. 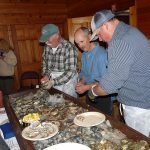 2012 will mark the 35th anniversary of the Martha's Vineyard Shellfish Group.